My end of the year reading is, among others, The Secret World by Hugh Trevor-Roper, a collection of his writings on Intelligence, counter-Intelligence, various ideas behind both as well as personalities involved in wartime secret work. There are articles, letters and the full text of his book on Philby and Admiral Canaris. 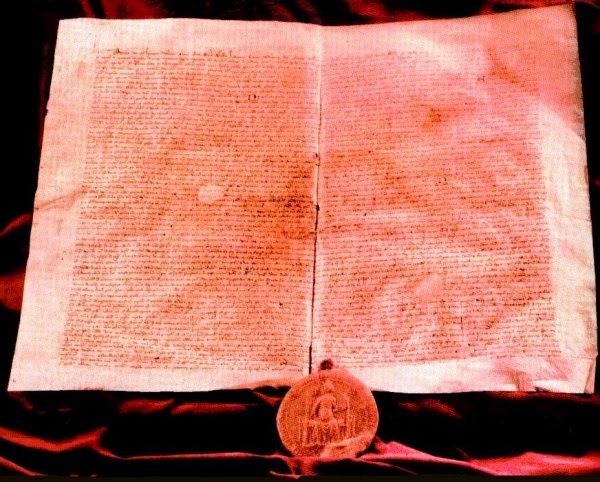 a good deal of it will have to be written about another time. In this posting I should like to quote from the Foreword by another brilliant historian, Sir Michael Howard, who touches on Trevor-Roper's post war activity or lack of in the field though, fortunately, he wrote about such matters. If Hugh did any work for the Intelligence Services after the war he left no trace, but it is not likely. His professional colleagues had always resented the wartime intrusion of interlopers and were glad to see the last of them - with the exception, of course, of the deferential and reliable Kim Philby, the only one they really trusted. Thereby, as we all know, hangs a very painful tale about which Trevor-Roper had much to say. I shall return to this book and to the great historian's letter published last year in the very near future. In the meantime, a very happy and prosperous 2015 to all readers of this blog and let us not forget all the many important anniversaries that are coming up. The BBC History Magazine asked several historians which history books of 2014 would they rate most highly. The replies made me realize that I had better get reading those books before the 2015 ones start coming out. (As it happens I already noticed a book that will not be published till next year but is in London Library: Boris Volodarsky's Stalin's Agent, a biography of the famous and infamous Alexander Orlov.) But I digress. Nigel Jones nominates Roger Moorhouse's The Devils' Alliance, a detailed study of the Nazi-Soviet Pact from the moment it was signed to the moment it was broken. Helen Castor, author of the highly praised recent biography of Joan of Arc, lists three books on the fifteenth, sixteenth and seventeenth century. In that order they are Dan Jones's The Hollow Crown: the Wars of the Roses and the Rise of the Tudors, Jessie Childs's God's Traitors: Terror and Faith in Elizabethan England and Charles Spencer's Killers of the King: The Men Who Dared to Execute Charles I. The last title is particularly fascinating to me as I have long found it fascinating to imagine the minds of people who dared to do the unthinkable: not to kill a king as a good many kings had been killed in England and other countries but to try and execute him. Surely that is the event that can be seriously called the beginning of the modern era. Finally, Simon Sebag Montefiore picks Jessie Childs's book, as well as Serhii Plokhi's The Last Empire: The Final Days of the Soviet Union and Victor Sebestyen's 1946: The Making of the Modern World. Clearly Mr Sebestyen and I (we are acquainted) would disagree on that assumption as on a number of other issues as always, I hope, in a friendly fashion. 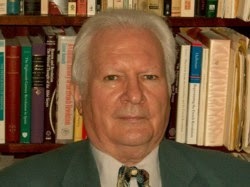 This morning I heard the news that my good friend and well known political scientist Dennis O'Keeffe has passed away. He is, I was rightly told, at peace after his appalling suffering. About three and a half years ago Dennis had a very nasty accident and his life since then has been very difficult and constrained, the last couple of weeks particularly so. It would be far too easy to remember that and not the Dennis O'Keeffe of many social and political meetings, the man who would manage to crack jokes about the most unlikely subjects. Nor must we forget Dennis's work in Eastern Europe, particularly in Poland, which he visited several times in the eighties as part of the Jagiellonian group, giving various talks to the underground university. It is fair to say that he and his colleagues were at some risk but continued the work because they thought it was necessary. Dennis learned some Polish and had a decent accent though his vocabulary, as he admitted himself, was limited. Nor did he forget it. I heard him speak Polish to at least one nurse in the care home where he, unfortunately, spent the last few years. From the conservative point of view, Dennis's achievements are great. 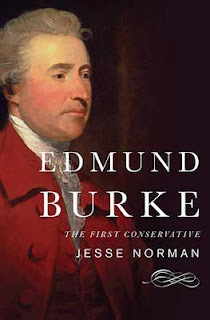 He wrote the best introduction to Edmund Burke anyone would need, as this blog has pointed out before, better really, for someone who does not know much about the subject than Jesse Norman's study. He also translated into English Benjamin Constant's Principles of Politics Applicable to All Governments, first published in 1815. For anyone who is interested in an interview Dennis gave about Constant, they can listen to it here. At the time of that terrible accident Dennis O'Keeffe was working on a six volume edition of Frédéric Bastiat's work, editing and translating it. Several of the volumes were completed and published and are available on the Liberty Fund website, an outstanding source for all who want to read the conservative and liberal (in the old, true sense of the word) classics. One can only rejoice that the work Dennis did has been done and will be of use to many of us and many to come while feeling sad that there will be no more as there will be no more jokes and laughter, talks and arguments. Rest in Peace Dennis. We shall miss you. A day much celebrated in countries where children cleaned their shoes yesterday and placed them in the window for St Nicholas (in his many names) to fill either with sweets or a small birch, depending on their behaviour. He is also the patron saint of of sailors, merchants, archers, repentant thieves, children, pawnbrokers and students in various cities and countries around Europe as well as of the Varangian Guard of the Byzantine emperors, who protected his relics in Bari. Tory Historian has already written about the British Library's excellent idea to reprint little known Victorian detective stories and to do the same for less well known writers of the Golden Age though this might turn out to be a task beyond even that formidable institution. New books are, however, being published with remarkable speed and it is quite a task to keep up with them. A number of them are selling very well both on Amazon and in bookshops, Waterstone's in Piccadilly being a prime example. 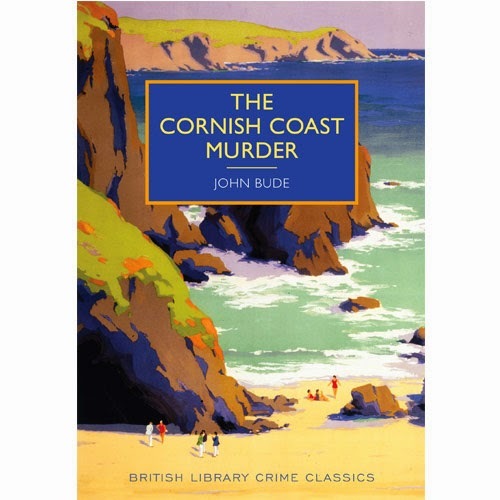 Martin Edwards, who has been appointed Series Consultant to the Crime Classics series gives some figures here. They are impressive. 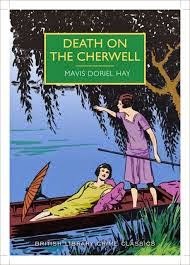 Tory Historian has now read three more books, one of the early ones, Mr Bazalgette's Agent and two of the Golden Age ones, both by Mavis Doriel Hay, Murder Underground and Death on the Cherwell. Leonard Merrick's Mr Bazalgette's Agent is the third book of the Victorian period to have a female detective at its centre (though in this case there are many qualifications) and is usually described as the first actual novel about one such lady but as Mike Ashley explains in his excellent introduction, Miss Miriam Lea, who becomes a Private Agent as she cannot find more "respectable" employment is really the second one, the first being an American, The Lady Detective, Kate Goelet, whose investigation of The Great Bond Robbery was told by "Old Sleuth" alias Harlan Page Halsey (1837 - 1898) was told in 1880. Leonard Merrick's novel appeared in 1888. Leonard Merrick (1864 - 1939), an unknown figure these days, was according to J. M. Barrie "a novelist's novelist" and was highly regarded in his day. He, on the other hand, disliked Mr Bazalgette's Agent so much that he tried to buy up and pulp every copy of it. Mike Ashley speculates that his dislike may have been based on some feeling of guilt for using Harlan Page Halsey's material. 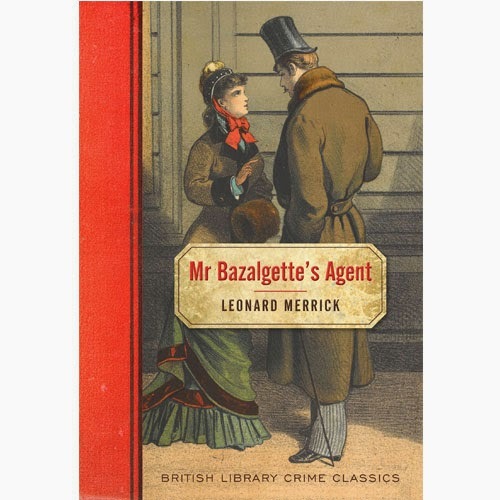 In Mr Ashley's expert opinion Mr Bazalgette's Agent is a better novel than its predecessor. Undoubtedly, it is well written and extracts some sly enjoyment out of the narrator heroine's diary, which shows her to be strong-minded and determined but also not very good at recognizing certain truths about herself and other people. Miss Lea is not particularly likeable, being insufferably snobbish and supercilious, even towards the other strong-minded female in the book, a professional detective who travels with her as her maid. The plot is exciting and the ending is amusing as well as unexpected (TH will not even hint at it) but the ease with which Mr Bazalgette's Agency finances Miss Lea's somewhat speculative travels across Europe, back to Britain, then to South Africa and its diamond fields is astonishing. What sort of a budget do they have and how is it that they do not go bust? 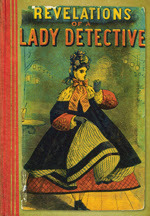 The other two books under discussion are of the later and by some definition golden age of the detective story, published respectively in 1934 and 1935. There were a good many writers in that period, many of good and even outstanding quality and the British Library, one hopes, will get round to a number of them so that supposed historians of the genre stop thinking that hardly anyone existed outside the "four queens", Christie, Sayers, Marsh and Allingham. It is not clear why anyone thought Miss Hay was so good that all three of her novels had to be reprinted though the suggestion that it was easy to negotiate with her estate is one to be taken seriously. The novels are introduced by Stephen Booth who is more interesting on Miss Hay's life than on her writing. The introduction to Murder Underground gives a general outline and the one to Death on the Cherwell fills in some details. It seems that Miss Hay was at St Hilda's about the same time as Sayers was at Somerville 1913 - 1916 so one can, perhaps speculate about them meeting at some tea party or literary discussion though Sayers does not mention her in her letters. Hay does not seem to have gone back in 1920 or subsequently to collect her degree when women were finally allowed to have them. Sayers did. Another interesting parallel between the two is them both publishing novels about Oxford in 1935, the year of Gaudy Night as well as Death on the Cherwell. 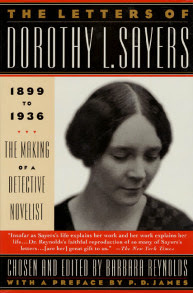 Stephen Booth speculates briefly why there were no more detective stories from Mavis Doriel Hay after 1937 (the year Sayers also stopped writing them with the unfinished Thrones Dominations) and comes to the conclusion that the general situation that eventually led to the war was too serious for her to produce frivolous novels. Given how many Golden Age writers went on working in that field, this does not sound adequate. It has to be said, though that Miss Hay lost one brother in the First World War and two brothers as well as her husband in the Second one. A higher than average rate. 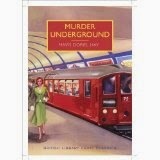 Murder Underground is described by Curtis Evans as being underwhelming and TH has to agree with that. There are some good aspects to the book: the description of life in London in the early thirties, of the various people in Frampton Guest House (a genteel boarding house) as well as of its owner are amusing and probably accurate. The description of servants and a good time girl one of the Bright Young Things picks up and then uses to cover up his stupidity is less successful though there is some indication that the author is not altogether enamoured of the BYTs' attitude to the rest of the world. The detective stories of the interwar years were paradoxical. They might deal with violent death, but essentially they were novels of escape. We feel no real pity for the victim, no empathy for the murderer, no sympathy for the falsely accused. Actually, this is wrong but Baroness James has never shown herself to be especially knowledgeable about the history of detective stories despite writing a slim volume on the subject. A good many books of the period show real pity, empathy and sympathy but, alas, not Murder Underground. Even the detection is limited: the police appear briefly at the beginning and reappear "unobtrusively" towards the end, having not solved anything; the Bright Young Things who usurp the action (if one can call it that) behave with unparalleled stupidity; and the solution both of the method and the motive is almost accidental. There are two maps to gladden Tory Historian's heart and a very simple and pointless family tree. Are the maps useful? Passing Tramp (a.k.a. Curt Evans) thinks not. Well, they are not completely useless either. There is a map of the Cherwell, real with imaginary additions in Death on the Cherwell but that does little except confuses the issue. In fact all the various descriptions of the river do just that. However, people who know it, North Oxford and Marston now will be astonished to read of farmland extending all the way to the Cherwell in the mid-thirties. Oddly enough, two of the BYTs of the previous novel appear but behave like responsible adults. Amazing what marriage and writing success can do for one. Hay seems to have been pleased with the police inspector who made an unobtrusive entrance in her previous novel, because here we meet Inspector Wythe, a sympathetic and intelligent character, not the typical clodhopping local bobby. He is not quite quick enough to beat the amateur sleuths to the solution, but he gives them a run for their money. The sleuthing becomes a competition between rival groups of male and female students from Persephone and St Simeon's. In the end, it seems none of the people concerned may be capable of crime, though moral guilt turns out to be a powerful thing in Mavis Doriel Hay's world. This is almost entirely incorrect. 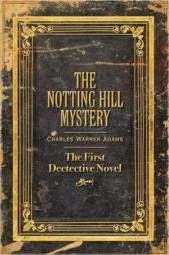 Inspector Wythe does appear at the beginning and continues to play a secondary role when Detective-Inspector Braydon of Scotland Yard comes to his assistance and "moral guilt" is, indeed, mentioned at the end. The rest, the bulk of the book and of the summary is completely different. There is no competition between the male and female students, only the latter being interested in sleuthing and they are induced to tell all and to hand over their find to the police very swiftly. The amateurs do not get a look in this time and the case is solved by DI Braydon. It has to be said that just as in the first novel there is no multitude of serious suspects. In fact, the killer in each one is very obvious. It must also be added that there is a good deal of genuine emotion in the second novel and an understanding of sorrow and waste. This might surprise Baroness James. It was one of those events all who lived through will remember. Where were you when you heard about the Wall being opened up and coming down? I was at home, glued to the radio (not having a TV set), tears welling in my eyes. Could we really believe it? Yes, it did happen and on that day, the Second World War was finally over. Wir sind ein Volk said the placards and the Germans asserted their right to be one united country. It was the people of East Germany and Eastern Europe in general who brought down the Wall and Communism as a whole with a little help from President Reagan and Prime Minister Thatcher. We must assume that readers of this blog are more or less knowledgeable of the story so there is no need to rehash it. Instead I am linking to a blog I wrote earlier on another outlet, drawing some parallels with the present situation. It is, perhaps, worth adding that this blog does not subscribe to the theory that Guy Fawkes and his co-conspirators were innocent victims to the Machiavellian Cecil's machinations nor was he a freedom-fighter. On the contrary: the man and his comrades were anxious to impose the most autocratic and obscurantist system of that time on England. 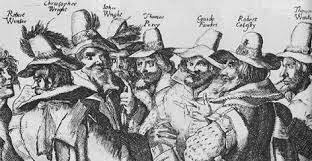 Guy Fawkes himself is supposed to have fought on the Spanish side in the Lowlands and to have offered his services to the King of Spain on a subsequent occasion. Matthew Francis writing about the search for Constructive Conservatism, which will discuss the idea of "property owning democracy". I must admit that I am particularly looking forward to this as I am in the middle of a book about Noel Skelton, the onlie begetter of that concept. In fact, I may preempt the Journal and write a blog on the subject before that. Articles by Nigel West on MI5 and the First World War (was it really called that at the time?) and Professor Simon Ball on Prime Ministers in the First World War (hmm, I wonder whose side he will take). Dr Richard A. Gaunt, an expert on Robert Peel has an article entitled A Power Behind the Throne? 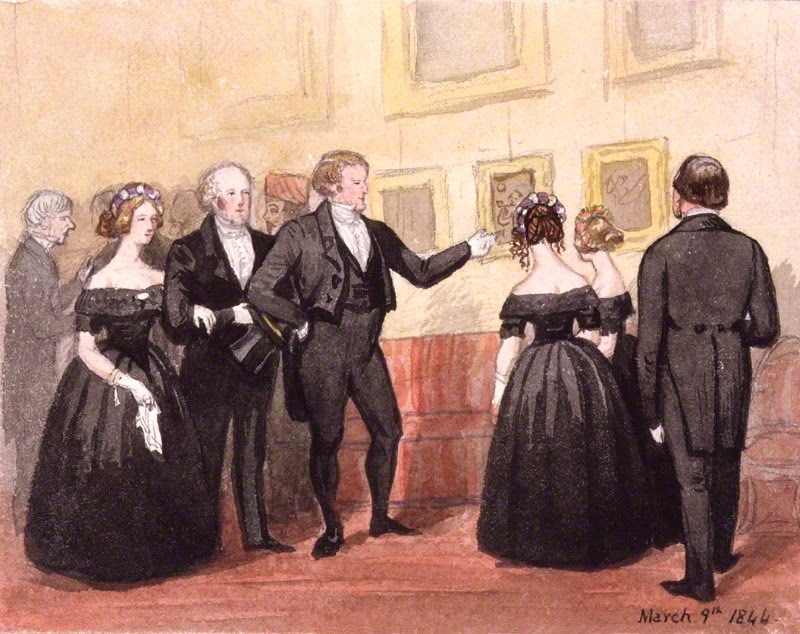 Sir Robert Peel, Prince Albert and the Making of the Modern Monarchy and Dr John W. Hawkins on The Queen’s Member: The unregretted life of Colonel Robert Richardson-Gardner. There is much more but those are enough to be going on with. On September 17, 1939 the war that is known as the Second World War entered its crucial phase though, possibly, this was not recognized at the time. The Soviet Union, acting in accordance with the Pact that the two Foreign Minister, Molotov and Ribbentrop had signed, invaded eastern Poland, thus squeezing the Polish army and the population of that country between themselves and Nazi Germany. One cannot really ignore Low's brilliant cartoon on the subject. 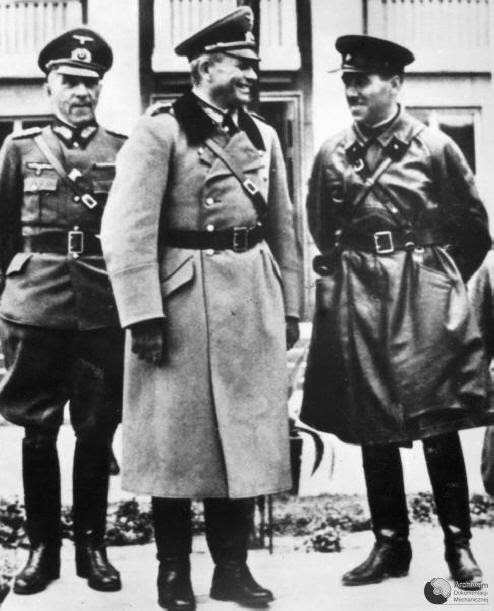 Here is a photograph that remains one of my favourites from that period and that region: the jolly meeting at a German military parade in Brest of two tank commanders, General Heinz Guderian and General Semyon Krivoshein who was, as it happens, Jewish. Astonishingly enough, General Krivoshein survived two purges: that of the armed forces in 1938 and that of prominent (and not so prominent) Jews in 1951. As the great Sovietologist, Robert Conquest, said to me when I asked him why he thought Krivoshein survived: "Someone had to". Both generals were prominent in the Battle of Kursk. Friendships between tyrants have a short life. I wrote more about that here. 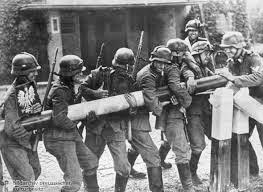 "this country is at war with Germany"
This morning the British Ambassador in Berlin handed the German Government a final Note stating that, unless we heard from them by 11 o'clock that they were prepared at once to WITHDRAW their troops from Poland, a state of war would exist between us. I have to tell you now that no such undertaking has been received, and that consequently this country is at war with Germany. You can imagine what a bitter blow it is to me that all my long struggle to win peace has failed. Yet I cannot believe that there is anything more or anything different that I could have done and that would have been more successful. Up to the very last it would have been quite possible to have arranged a peaceful and honourable settlement between Germany and Poland, but Hitler would not have it. He had evidently made up his mind to attack Poland whatever happened, and although He now says he put forward reasonable proposals which were rejected by the Poles, that is not a true statement. The proposals were never shown to the Poles, nor to us, and, although they were announced in a German broadcast on Thursday night, Hitler did not wait to hear comments on them, but ordered his troops to cross the Polish frontier. His action shows convincingly that there is no chance of expecting that this man will ever give up his practice of using force to gain his will. He can only be stopped by force. We and France are today, in fulfilment of our obligations, going to the aid of Poland, who is so bravely resisting this wicked and unprovoked attack on her people. We have a clear conscience. We have done all that any country could do to establish peace. The situation in which no word given by Germany's ruler could be TRUSTED and no people or country could feel themselves safe has become intolerable. And now that we have resolved to finish it, I know that you will all play your part with calmness and courage. At such a moment as this the assurances of support that we have received from the Empire are a source of profound encouragement to us. The Government have made plans under which it will be possible to carry on the work of the nation in the days of stress and strain that may be ahead. But these plans need your help. You may be taking your part in the fighting services or as a volunteer in one of the branches of Civil Defence. If so you will report for duty in accordance with the instructions you have received. You may be engaged in work essential to the prosecution of war for the maintenance of the life of the people - in factories, in transport, in public utility concerns, or in the supply of other necessaries of life. If so, it is of vital importance that you should carry on with your jobs. Now may God bless you all. May He defend the right. It is the evil things that we shall be fighting against - brute force, bad faith, injustice, oppression and persecution - and against them I am certain that the right will prevail. In the end, right did but it took a good many more decades than just the Second World War and the news from eastern Ukraine makes one feel that the battle is not over yet. On September 1, 1939 German troops crossed into Poland and the Second World War began. Britain and France, having guaranteed Poland's borders, would declare war on Germany in two days' time. The Soviet Union was, at that stage, Germany's ally and would, itself, invade Poland on September 17. Nobody guaranteed the country's eastern borders. This is a well known picture: German soldiers move Polish border fences to open the road to tanks, armoured vehicles and for the troops to march in. Below is a more optimistic picture: Poland for years under German and Soviet occupation became independent again in 1989. Today they were commemorating the German invasion and the tragedies that followed for many years. On August 24, 1814 Washington burned. Soldiers and marines under Major-General Robert Ross and Rear Admiral Sir George Cockburn put Washington’s public buildings, including the Senate, the House of Representatives, the Library of Congress, the Treasury building, the State and War Departments, the historic Navy Yard and the President’s House (as the White House was then known), to the torch. Mr Madison's war seemed of little importance to the British who were fighting Napoleon and many Americans have preferred to forget what was a serious national humiliation created by a series of misjudgements on the part of the President and the Secretary of War. An interesting account and analysis in History Today, as ever. It is possible that the remembrance season we entered two days ago will last the four or five years until it will be time to commemorate the tragic peace that followed the unusually tragic war but it is much more likely that there will be a complete exhaustion of commemoration all round and even politicians and media hacks will stop reminding us about the need to remember those who died for us and to draw the necessary lessons. It seems very unlikely that people will remember the dead of the various wars of the last century on a day to day basis but equally unlikely that they will forget them completely. We are, after all, reminded of them every year at the moving and solemn Remembrance Day events. Is that not enough? In recent years, because of Britain's involvement in two major wars in Iraq (at an end for several years) and Afghanistan (coming to an end) there has been a revival of interest and emotion connected with that solemn moment of the Eleventh Hour on the Eleventh Day of the Eleventh Month, which has become a time when we recall all the other wars as well and their various heroes and victims. It is my great fear that the multiplication of remembrance and the outright gorging on sentimentality of the last few days will take away attention from Remembrance Day. People may well feel quite bloated with remembrance by the time we get to the right day. And so, on to August 4, 1914, generally seen as the beginning of the First World War, the horror unleashed on Europe and the world that, in its turn, precipitated further horrors. On that day Britain declared war on Germany. While there is evidence that politicians and diplomats felt that they had failed in solving the crisis, the public in both countries was enthusiastic about the war but, as is natural, lost that enthusiasm in years to come. Asquith explained that he had received a telegram from the German Ambassador in London who, in turn, had received one from the German Foreign Secretary. Officials in Berlin wanted the point pressed home that German forces went through Belgium to avoid the French doing so in an attack on Germany. Berlin had “absolutely unimpeachable information” that the French planned to attack the German Army via Belgium. Owing to the summary rejection by the German Government of the request made by His Majesty’s Government for assurances that the neutrality of Belgium would be respected, His Majesty’s Ambassador in Berlin has received his passport, and His Majesty’s Government has declared to the German Government that a state of war exists between Great Britain and Germany as from 11pm on August 4th. The nightmare began and has lasted to this day. 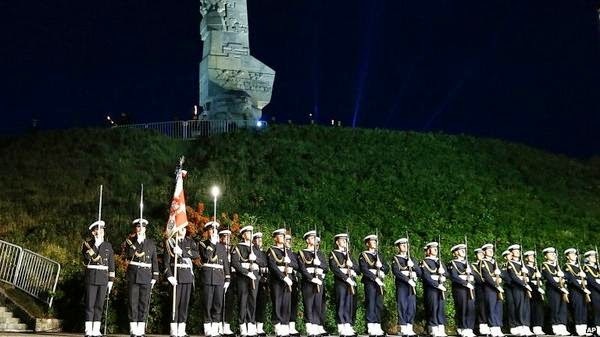 Two days ago, on August 4, 2014, a great deal of commemoration went on. We cannot argue with the importance of the date or the fact that the centenary should, in some way, be remembered. But one cannot help thinking that it was all overdone to an almost nauseating extent. Military parades, restrained speeches, the laying of wreaths (will they all be laid again in November? ), beautiful services in various cathedrals are all solemn and, up to a point, moving. Photographs and newsreels of the period are enormously interesting and a number of exhibitions around the country have been fascinating. But did we really need the call for darkness and the lighting of candles? Sir Edward Grey's famous comment about the lamps going out in Europe was not a literal description of what happened. Did we really need all the commentary, the endless sentimentality, the glorification of Britain's decision to go to war? Let me make it quite clear: I am not, in this posting, discussing either that or the various military campaigns, merely the surfeit of remembrance. We must remember! We must learn our lessons! But what must we remember? That war is hellish? Who doesn't know that? Given the fact that most of what was repeated in those endless comments was the old old myths about the war and the trenches, as if there had been no naval war, no air war, no fighting elsewhere in Europe and the world, nothing much seems to have been learnt about the actual events outside the pages of such magazines as History Today. Those lessons we must learn? What are they exactly? That war is a bad thing? Well, who knew? That war is sometimes unavoidable? I am shocked, I tell you, shocked. The slightest suggestion that perhaps British generals were not quite as stupid as the mythology would have it, that many people came back from the war and got on with their lives, that British casualties were not as high as other countries', that, perhaps, signing those treaties with France and Russia was not such a good idea when we look at what they led to, that maybe it was not simply Germany's fault though they were hardly victims and of other not very controversial matters was greeted with hysterical outbursts about visiting battle fields (I have not done that but have visited at least one military cemetery and it was very moving) and the need to remember. 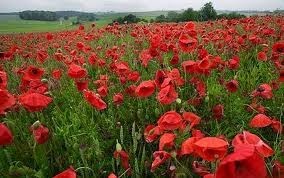 Not to understand, not to keep a stiff upper lip but to remember. It is one of the curious developments of the last few years that as Britain becomes less and less of a military power for psychological as well as practical reason, so there is a greater proliferation of memorials and remembrance festivities, till they have become a season, whose end is not in sight. Cheer up. All this remembrance-day business gets on your nerves, don't it? It's my belief most of us would only be too pleased to chuck these community hysterics if the beastly newspapers didn't run it for all it's worth. However, it don't do to say so. That was written in 1928. My other quotation is from John Dickson Carr, a writer who was more than a conservative, positively a Tory, and it refers to the period immediately after the Second World War. Carr was in Britain at the end of the war and was not particularly happy by the regime imposed on the country by the Labour government (a good many people were unhappy about it, feeling justifiably that war-time rationing and regulations should not intensify once the war was over). The regulations in this country go more and more damnable. One more war for liberty and we shall all be slaves. Something to mull over in this remembrance season. The National Portrait Gallery has a particularly good collection of small-scale displays dotted round the various rooms at the moment. One of them is a memorial of the fact that a hundred years ago one of the slightly insane followers of the reasonably sane Emmeline Pankhurst attacked one of the portraits in the Gallery about the same time as another member of the Women’s Social and Political Union (WSPU), Mary Richardson, attacked Velasquez's painting in the National Gallery, The Rokeby Venus. Looking at the undoubtedly fascinating collection of photographs, some known but mostly not, and documents issued by the police and the Home Office I was reminded that I still have not written sufficiently about Conservative suffragists, which I shall do very soon. However, it was undoubtedly annoying to see some of the old myths being peddled if only indirectly. The introductory comments explained that the fight for women's suffrage had been going on for almost a century before the WSPU was formed but with no success. Therefore, some of the suffragists, led by Emmeline Pankhurst and her daughters, especially the lawyer Christabel, decided on ever more violent action. This made the cause well known though divided opinion, added the note. The implication, unstated because it would not be true, that the militant activity of the Pankhursts was successful in the way previous peaceful campaigning had not been. Nothing could be further from the truth. Women did not get the vote until 1918 and that was the result of their supreme war effort that really destroyed the argument that women cannot be trusted to think about bigger issues than their homes. 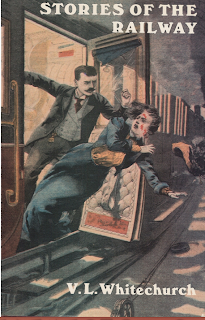 It is not unreasonable to suppose that the WSPU and its insanity actually set the cause back considerably, though we shall never know the truth. Lady Knightley of Fawsley, an active Conservative, Primrose League member and veteran Suffragist, certainly thought so though she admired Mrs Pankhurst herself, not least for her oratorial skills. It does seem to me that the myth of the victorious violent and often left-wing (certainly as far as Sylvia and Adela Pankhurst were concerned) should be laid to rest. 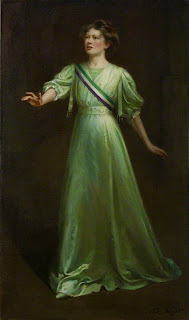 Would the National Portrait Gallery consider an exhibition of portraits of Suffragists, many of whom were Conservative? Having just read one of E. C. R. Lorac's novels, These Names Make Clues, (not one of her best, as it happens though it strengthens my suspicion that Edith Caroline Rivett, a. k. a. E. C. R. Lorac, a. k. a. Carol Carnac, was a crossword addict who would not have dreamed of starting her day's activity without finishing the one in the Times first) I have once again noted a curious aspect to Golden Age Detective (GAD) novels. The characters, if they happen to be educated literate ones, which they often are, always seem to have read every single recently published book. When did they have time to do all that and do their own work as well as other activities and keep up with their knowledge and reading of the various classics? Were there fewer books published in the thirties? There certainly were in the forties because of paper shortage but it all picked up again in the fifties. Were there more hours in the day, more days in the week? Books were certainly cheaper but not that cheap, relative to income, so there is the financial consideration to be taken into account. Or was it simply the fact that they did not have to do the washing up and there was no TV to watch? While we are on the subject of detective fiction characters' reading, I may add that one aspect of P. D. James's novels have always bemused me. Her hero, who rises through the higher ranks of the Metropolitan Police is Adam Dalgliesh, Commander, I believe, towards the end of the series (so far) and a well-known and highly regarded poet. Now, I happen to be acquainted with poets and know about the extent of poetry reading in this country. Actually, extent is not really a word one would use, so negligible it is, when it comes to newly published poetry. Yet, whenever Adam Dalgliesh with whatever rank turns up to investigate a crime and interview the various suspects and people involved, among them he always finds a number who have read his poetry and have acquired his latest book. This is not remotely realistic. Tory Historian was engaged in a discussion about the author of what might have been the earliest collection of railway detective stories by V. L. Whitrechurch and decided to find the book, having read several though not all of those adventures. As ever, London Library came up trumps and there, on the right shelf, was the 1977 reprint with a highly informative introduction by Bryan Morgan of Stories of the Railway, which is, as it happens, available on Gutenberg Australia under the original title of Thrilling Stories of the Railway. 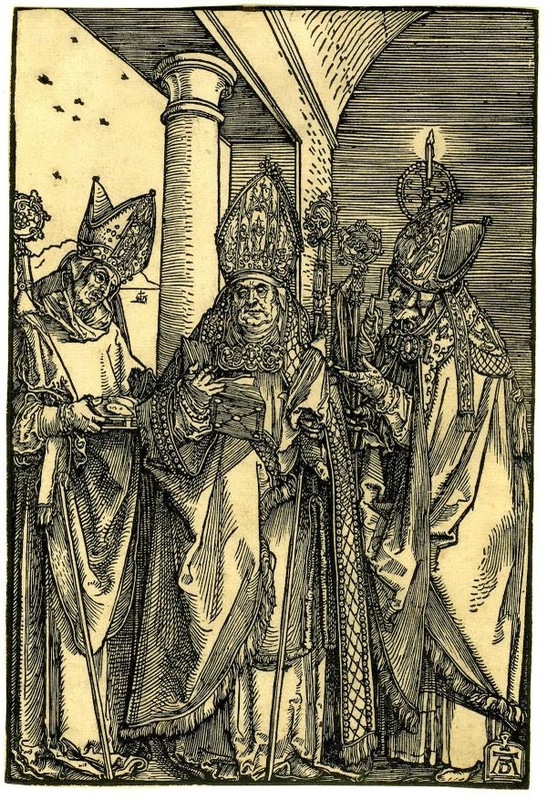 The nexus between railways and the clergy (today including at least two bishops, and extended to include such fringe churchmen as organists) has been often remarked upon but never fully explained. Should one, for instance, accept the view of a current professor of scripture that the organisation of a railway is a microcosm of God's organisation of the universe, or agree with that vicar and author of popular children's books who claims that despite their faults the railways and the church are the best ways of transporting a man to his final destination? Or should one look to the late Canon Roger Lloyd's opinion that railway-lore is 'morally good in the sense that it healthily occupies the mind and so becomes a subsidiary and indirect cause of that self-forgetfulness which is at the root of all virtue'? Certainly, though, the clerical or lay enthusiast of the early years of the present century was a happy man; for Britain's railways were then at their peak of glory. 'Brief years, from the death of Queen Victoria to the outbreak of war', as Mr Hamilton Ellis has written, 'were proud years. Enormous coal-trains rumbled and handsome expresses rushed about the country. Maintenance was high and locomotives were often painted in gorgeous colours.' Bradshaw ran to nearly 1200 pages (a figure never preceded or exceeded) and in many a country rectory stood as a work of reference beside Crockford's. Numerous parsons stumped while drafting a sermon must have relaxed intellectually by working out the quickest route between Saxmundham and Blisworth. Most certainly there is a link between railways and spy stories, at least those of that period as well as detective ones. But why the clergy should find itself so enamoured with trains and all matters to do with them remains a mystery and if Bryan Morgan cannot solve it, nobody can. Whitechurch was an astonishingly prolific author of detective and other novels and short stories as well as books of topography and autobiography. As Mr Morgan says, his duties in the Church could not have been particularly onerous. 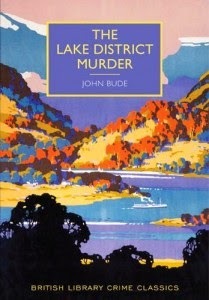 His knowledge of the railways seems to have been outstanding and several of the short stories have pages of incomprehensible detail about the various activities, which does not, oddly enough, detract from the actual plots that are usually very straightforward, sometimes of the detective, sometimes of the thriller variety. Nine of the fifteen are concerned with the activities of the "first railway detective" as acknowledged by no less an authority as Ellery Queen and Dorothy L. Sayers, Thorpe Hazell, who shares his creator's knowledge of trains and railways but is also something of a diet and exercise weirdo. TH has wondered idly whether Mrs Ariadne Oliver's creation, the vegetarian Finn, Sven Hjerson might not have been influencd by the character of Thorpe Hazell, though the latter sticks to a seriously unhealthy diet of milk, lentils, macaroni and Dutch cheese with nary a piece of fruit or vegetable. He also eats Plasmon biscuits and chocolate and does quite ridiculous exercises before and after meals. But give him a problem such as how to stop a German messenger from taking a stolen document out of the country or how to ensure that an important diplomatic meeting takes place or what happened to a valuable picture and, indeed, the carriage it was in and Hazell is in his element. There are also six non-Hazell stories and these are all thrillers with the villains ranging from German agents to Russian police officials and violent union leaders. All in all, quite interesting but not altogether thrilling. According to Bryan Morgan, the British Library catalogue renamed the collection from Thrilling Stories of the Railway to just Stories of the Railway, and that is how they were reprinted in 1977. As indicated above the Australian on-line version restores the original title as did the BBC when it recorded Benedict Cumberbatch reading inexplicably abridged versions of the stories. 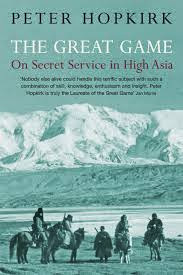 Tory Historian has managed to replace Peter Hopkirk's excellent The Great Game, a copy of which has gone AWOL. There it was, at one of the few remaining second-hand bookshops in Charing Cross Road, Henry Pordes Books. 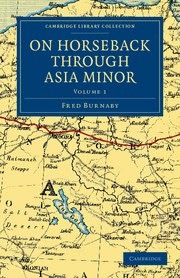 Even better, this was a new edition, published by John Murray (sadly now a part of Hodder and Stoughton) in 2006, sixteen years after the original, during which time many things happened in Central Asia and a new Great Game started. Mr Hopkirk acknowledges this by a new Preface and a whole new map. TH is lost in admiration. There were five maps before and now there are six, with an extra one that depicts The Battlefield of the New Great Game. Excellent. For the collapse of the Russian rule in Central Asia has tossed the area back into the melting pot of history. Almost anything could happen there now and only a brave or foolish man would predict its future. For this reason I have note attempted to update my original narrative beyond adding this brief foreword. Among all the uncertainties, however, one thing seems certain. For good or ill, Central Asia is back in the thick of the news once more, and likely to remain there for a long time to come. Eight years on, that remains true. Unlike Edmund Burke, Sir Robert Peel was most definitely a Conservative, one of the most important leaders of the party. Today is the anniversary of his death. He was thrown from his horse on June 29, 1850 and died after a good deal of suffering on July 2. Though he had lost a great deal of popularity towards the end of his premiership, such is the fickle nature of the crowd that his funeral became the centre of huge national mourning. The picture above, in the National Portrait Gallery, shows him in a slightly unusual mode, as an art collector. Here, on the other hand, is an article from History Today about the politician and his end. Jesse Norman's book on Edmund Burke was published last year but I have only just managed to read it and found it very interesting. Last year or this, the subject and the author are suitable topics for this blog and Edmund Burke - Philosopher, Politician, Prophet is a book that many readers of this blog would find of importance and interest. That actually makes sense. To be fair, having silly but plausible quotes attributed is a problem Burke shares with, among others, Churchill and Lincoln. He also shares with them the fact that people tend to assign to them their own opinions and political affiliations. Thus, Churchill's checkered party political career is little known or ignored by many and Lincoln is routinely assumed to have been a Democrat though he was a Republican. With Burke the situation is even more complicated as he lived, wrote and was politically active long before the modern British political parties were formed. No reader of this blog needs to be told that Edmund Burke was not a Conservative as that party did not exist in his day nor a Tory as he was a Whig. A Rockinghamite Whig, to be precise, and as Mr Norman shows in his book, the main creator of a group that could be seen as the prototype of later political parties. The Rockinghamites were more than just a faction or a following that many eighteenth century aristocrats who bothered with politics had: though in opposition for many years they kept together and developed a core body of opinions on a number of subjects such as the need to come to an agreement with the North American colonies that they kept throughout their existence. In fact, Burke's thinking was mostly consistent and it is a rare historian who cannot see the basic difference between the ideas that motivated the American "rebels" and the French revolutionaries. Burke was simply ahead of most people. He could also see what the British government was doing wrong in Ireland and the problems with the East India Company - both being species of oppression and unaccountability. Many of these ideas have been discussed by previous biographers, particularly by Conor Cruise O'Brien in his magisterial work The Great Melody. (Curiously, Mr Norman does not mention an excellent short introduction to Burke, which has figured on this blog by Dennis O'Keeffe. Mr Norman is clearly an admirer of Burke but is, nevertheless, ready to be critical when he thinks it is necessary, for example when he talks of the latter's behaviour during the Regency crisis. There is also a certain reticence over the impeachment of Warren Hastings, a controversial subject, though Burke's attitude to His Majesty's Indian subjects was clearly well ahead of his time and in keeping with his belief in freedom and dignity as the necessary portion of all. The second part of the book is less happy in this reader's opinion. Burke's thoughts, writings and speeches had already been analyzed in the first half and there is little to add. Mr Norman concentrates on the question of how Burke's ideas are to be used today, a laudable enterprise, but he goes further and falls into the error that previous authors, notably Jim McCue had fallen into, by discussing how Burke might or might not have reacted to certain modern political ideas. This is futile. We cannot tell how an eighteenth century thinker, brilliant though he was, would have reacted to ideas of the late twentieth or early twenty-first century. Jim McCue in his Edmund Burke and Our Present Discontents introduced a long (perhaps the longest) chapter which ranted at feminism and proved beyond any doubt in the author's mind that Burke would have hated feminism. Jesse Norman does not go that far but he does discuss a great many modern political, economic, social and anthropological ideas to prove that many things he does not like in our present state Burke would have disliked, too. Mr Norman's particular bugbears are modern economists none of whom, according to him, can see beyond simple wealth creation or money making and liberal individualism, which denies the need for social networks and institutions. To say that this is a simplification of modern economics and of the theory of liberal individualism is to understate the case. One cannot help being a little worried about a politician who asserts over and over again that social and political structures are more important than individualism and individual liberty, particularly if he simplifies what the latter two mean. Is there not a suspicion that his idea of what a satisfactory social and political structures would be gives a primary position to politicians as creators and guardians of those structures? Despite the long and sometimes only tangentially relevant discussions of modern sociology and social anthropology together with the often conflicting findings, the book is worth reading, not least because we must all rejoice in the existence of a literate politician who has some interest beyond vote getting tactics. Beyond that, there is no doubt that Edmund Burke and his thoughts are of significance today just as they were in the past. He laid down many fundamental ideas about politics, gradual change, the need for a coherent social structure and the notion that there is a seamless whole between past, present and future generations and these are still relevant though many of the details have changed. At a time when the Conservative Party and the right in general are searching for definitions we could all do much worse than study those provided by Edmund Burke two hundred odd years ago.